The legislative and fiscal dynamics of the waste management sector in the EU have resulted in a major realignment from disposal in landfill sites to recycling and recovery. The main objective of these changes is to minimise the impact of waste production on climate change. Under the revised Waste Framework Directive (rWFD), Local Authorities in the UK are obliged to adopt waste policies that divert waste from landfills. This shift in waste management policy means that waste is increasingly seen as a resource with which to produce secondary end products. Organic waste recycling, in particular, offers the UK an opportunity for launching new technologies and industries. The Waste Resources Action Programme (WRAP) estimates that 25% of the 100 million tonnes (mt) of waste arising in the UK is organic in nature. Over the past five years, the UK has seen a growing momentum within the anaerobic digestion (AD) industry, which processes various feedstocks, such as on-farm crops and industrial and non-industrial organic waste and sewage (1). In the UK in 2011, 3.7 mt of non-hazardous waste from both municipal and commercial sources was fed into 46 AD plants, producing 54MW electricity. Of the remaining 21 mt, ~8.5 mt were processed in the organic recycling industry, providing compost and soil improver for agriculture and landfill caps (2) and 4.6 mt were recovered as waste wood. The residual 8 mt remained co-mingled with the balance of the waste stream, and were largely sent to landfill. As an example of the scale of the opportunity within the UK, it is estimated that over 300 kilo tonnes of renewable chemicals, such as 1-butanol, acetone and hydrogen, could be produced from the organic waste currently sent to domestic landfills. Nongovernmental Organisations are pushing for a zero biomass to landfill policy. To achieve this, the waste management infrastructure must quickly develop to remove the biomass currently sent to landfill from the balance of the waste stream. Only a small fraction of this volume is likely to be segregated at source due to the increased cost and complexity that source segregation presents in the waste management supply chain. 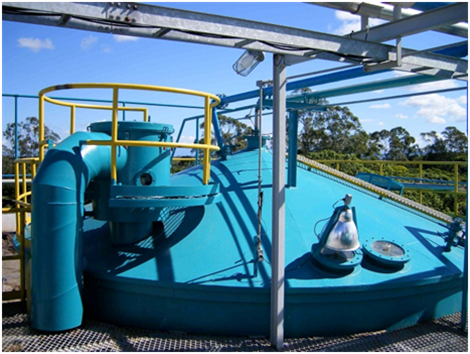 The majority can be recovered in facilities such as mechanical biological treatment (MBT) Plants. Organic waste is inherently variable in composition, depending upon geography, time of year and the myriad of treatment processes employed. This presents legislators with a difficult challenge and innovators with an opportunity. Typically organic waste has a moisture content >50% (e.g. a typical vegetable is >80% water). The balance of material in the organic waste is a combination of fermentable organic matter (primarily cellulose and hemicellulose), proteins, fats and non-fermentable matter (lignin, ash). The high moisture content of organic waste makes it unsuitable for thermal treatment processes such as Energy from Waste (EfW). Fermentation of the wet organic fraction of waste biomass is an economically viable route for producing chemicals from waste – particularly in the UK, where alternative feedstocks are either not available in sufficient quantity (grains and sugars) or the cost is prohibitive (grain straws and stover). An example of a successful technology in the UK for the reuse of organic waste is the production of 1-butanol. In 1916, Chaim Weismann [1874-1952; later the first President of Israel, 1949-1952] isolated an anaerobic microbe, Clostridium acetobutylicum, ATCC 824, which can convert sugar and simple starches into, inter alia, acetone, 1-butanol, ethanol, hydrogen and carbon dioxide. This process, known as the ABE [acetone-butanol-ethanol] process, was commercialised during the First World War, because it was the only known route for the production of high volumes of pure acetone needed for cordite manufacture for use in munitions. With the emergence of the petrochemical industry, the ABE process suffered a relative decline for production of bulk chemicals. However, the opportunity offered by organic waste recycling has led to chemical companies such as Solvert adopting the ABE fermentation process for the production of chemical intermediates, including 1-butanol, from organic biomass. Solvert has pioneered a continuous feedstock pre-treatment technique in the ABE process, which overcomes a number of the problems associated with traditional batch hydrolysis systems. The aim is to produce a feedstock stream containing fermentable matter with the minimum amount of enzyme inhibitors and non-fermentable matter entrained. This stream is required to meet the end of waste regulations (3), enabling it to be used freely as a feedstock for a number of downstream processes from chemical syntheses to simple anaerobic digestions. By adapting a tried and tested industrial biotechnology process, Solvert has created a commercially viable supply chain and process technology. These processes can also be implemented in developed countries, and provide existing markets with new products while resolving the issues around waste management. Solvert chose 1-butanol as the primary target product because it has an established chemical market ($4.5 billion per annum) that, in certain applications, is demanding a renewable alternative to the petrochemical-derived product. 1-Butanol is currently manufactured by a number of the world’s leading chemical companies (Dow, BASF and Eastman) by gasifying propylene and using the resultant syngas in the OXO alcohol process. In the first half of the 20th century, 1-butanol was manufactured using a fermentation process. A number of companies, for example HC Sucroquimica (HCS) in Brazil, have re-commercialised the ABE process leveraging their feedstock knowledge and facility integration (Figure 1). HCS is a family-run sugar refinery in Brazil that has an integrated sugar production plant and ethanol distillery, and in 2006-2007 constructed a modern ABE facility using sugar cane juice as feedstock. The plant operates on a seasonal basis, supplying renewable 1-butanol and acetone for Brazil’s domestic chemical market. Production today is focused on sugar cane juice, but HCS is already developing their second generation process to use the surplus bagasse from their sugar refinery. Once the “Waste to” concept has been established with 1-butanol, Solvert has identified a number of other chemicals that can be manufactured by fermentative processes using molasses derived from waste as a feedstock – for example lactic acid, ethanol, isobutanol and succinic acid. Avoids organic waste going to landfill sites. Reduces the costs associated with waste management collections: (a) Reduces the number of bins required, enabling combined collection of mixed food and garden waste without compromising animal by-product regulations; (b) Applies to multi- and single-occupancy dwellings alike, helping to make resource management available to all members of the community (c) Reduces the requirement for enforcement of source segregation, as the process is tolerant of non-targeted contamination in the collected stream; (d) Provides cost surety and control, allowing more accurate forecasting and budgeting within local authorities. Creates a new higher value market and use for co-mingled organic waste diverted from landfill. Allows effective removal of the wet fraction from the residual waste stream, leaving a dryer material and maximising net calorific value and materials recovery. Removes the odour and health risks from bio-aerosols associated with aerobic composting systems. Adds value to the resource management system, giving opportunity for economic regeneration and creation of real long-term, productive manufacturing jobs. Incorporates a sustainable water management system. Deploys proven, open-ended technology, future-proofing investment in waste management as technology develops. Establishment of waste-to-chemicals facility diverts ~150,000 tonnes/year of biomass from landfill, resulting in ~210,000 tonnes/year carbon dioxide equivalent greenhouse gas emission savings when combined with the petrochemicals removed from the chemical supply chain. Because Solvert’s process targets a feedstock that is geographically dispersed, the technology has been conceived to support small regional production facilities rather than large central facilities. Each local facility will create 25 skilled jobs and support a much larger number of auxiliary jobs in the local community. Minimizing the transporting of waste provides a number of benefits including satisfying the proximity principle of waste management, lower carbon emissions due to logistics and lower logistics costs. Diversion of biomass from landfill will prolong the life of the existing permitted landfills within the UK, enabling them to receive the material not suitable for recycling or energy recovery. By including extensive water treatment in each facility, Solvert would also remove the risk of leachate and groundwater contamination from landfill, because the wet fraction of waste would be diverted to a facility where the water component was treated and eventually returned to the water course at an appropriate standard. Finally, establishing a sustainable supply of base chemical building blocks to the UK chemical manufacturing industry will support the creation of a niche renewable chemical market within the wider petrochemical market, underpinning growth and investment in the UK chemical industry. Solvert was founded in July 2010 to develop technology that could exploit the waste management supply chain in developed countries. Our technology also works in low-cost environments. However, as Solvert’s founder is a chemical engineer, the company has long-term objectives to build, own and operate manufacturing facilities in the UK to support the UK’s bioeconomy. Solvert is based in the Wilton Centre, Redcar, formerly ICI’s Research and Development Headquarters. The Wilton Centre is the home of the Centre for Process Innovation and the National Industrial Biotechnology Facility (NIBF), which were developed by the UK government to provide facilities and support small and medium enterprises in industrial biotechnology. Solvert’s business plan has been built around using NIBF to demonstrate our technology at a commercial scale. Solvert is currently raising finance for the next stage of its business development, which takes the technology already demonstrated at lab scale and moves it into the NIBF for scale-up and demonstration. This article is based on a presentation by Kris Wadrop at the Environmental Chemistry Group 2012 Distinguished Guest Lecture and Symposium held in the Science Room at Burlington House on Wednesday, March 14th 2012.